Do you ever want a sauce to dress up a meal? Something to put over plain rice? 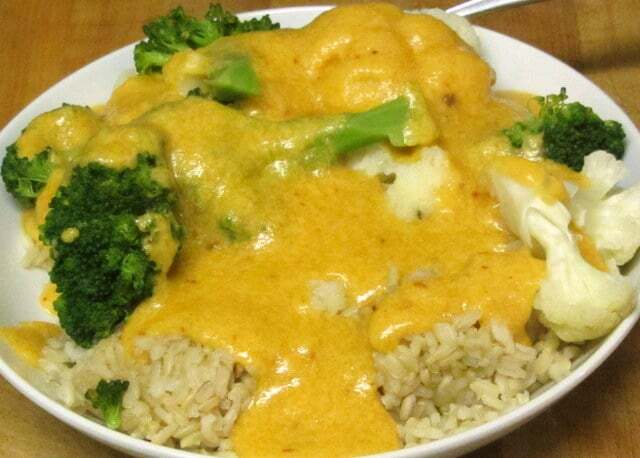 A bit of cheese sauce to perk up the last of the broccoli? 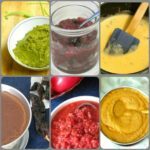 Have you ever opened an envelope of commercial dry sauce mix because making it from scratch seemed too hard at the moment, or would take too long? 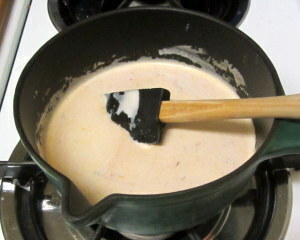 I took a small sauce pan and started to heat a cup of milk over low heat. Got out the chipotle puree, and just used a regular teaspoon to put a blop in (such precise terms I use… but it was, in fact, just about a measuring teaspoon, and your measurements will vary by your preferred degree of heat.) 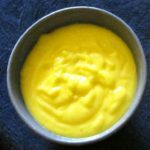 If you prefer, you can certainly use prepared mustard for this… again, somewhere around a teaspoon, varied by both your own preference for heat and in that case, the heat of the mustard. 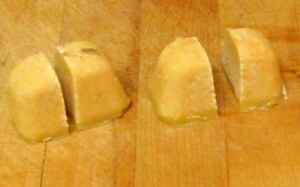 Then I took out 2 roux cubes. I wanted a fairly thick sauce, as I was making it seriously part of the meal. If you just want a drizzle of cheesy goodness over your broccoli, you might use just one. (ETA: See note below… 2 works better.) And I cut them in half, to make them dissolve more easily. 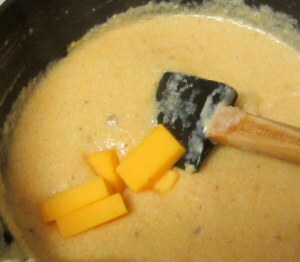 As soon as it started to thicken, I started stirring constantly, and added the cheese in 2-3 parts. Stirred until everything was melted, and the sauce was nice and thick, and then turned the heat off. There. 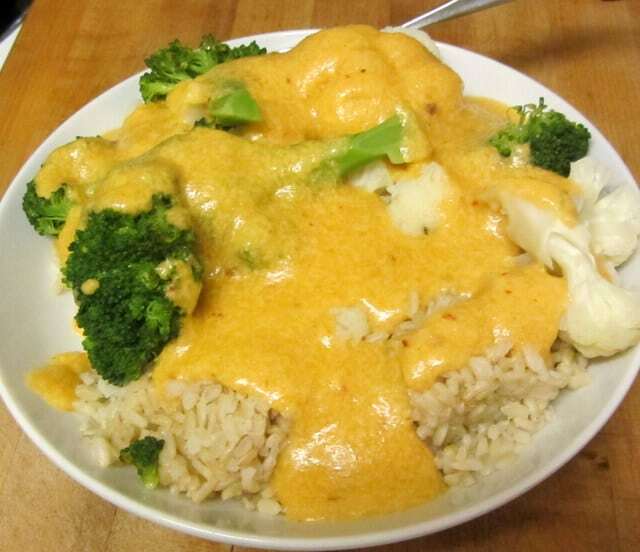 Chipotle cheese sauce in under 5 minutes. No harder than a dry mix – just add the ingredients to milk and stir… I really liked the chipotle flavor. It added a nice smokiness as well as a little zing. I’ll still use mustard, often, since we like that too, but I’m adding this to my list. 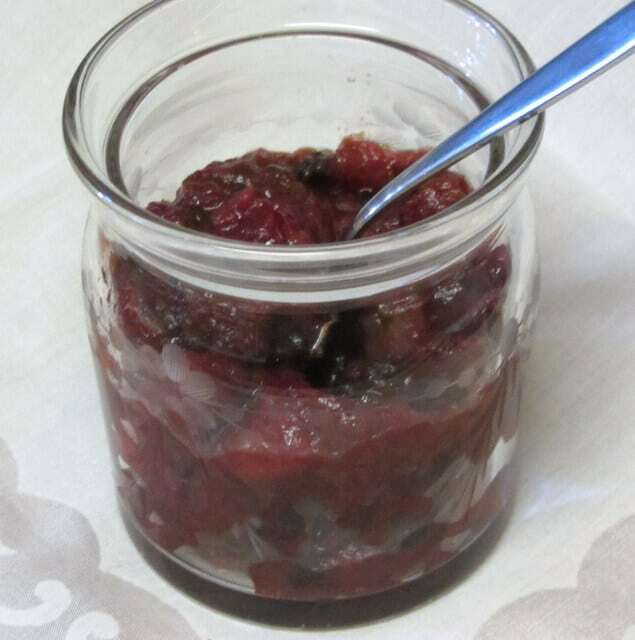 Now, you don’t have to add either – though in that case I would definitely add more cheese, or it will be bland… It really depends on what you and your family like, and what you will serve it with. Now – mustard, which I’ve used for this often, also has vinegar – but much less, and I’ve never had any problem. Come to think of it, I’ve usually added it at the end, too – after the roux had already stabilized the sauce… and I think that helps. I’m not sure why I reversed order this time, but I’m going to go into the recipe card and reverse it right back… This tasted much too good to abandon… but it will work best as a thick sauce, with the flavoring added at the end. Sorry about that. Usually I don’t post something until I’ve done it a few times (unless it’s a seasonal food I may not get again in time) – and I’ve made the mustard version often enough… but the variation varied more than I realized. It was still really good… but use 2 cubes per cup of milk, and add the chipotle at the end for best results. Make a chipotle cheese sauce in five minutes to dress up plain vegetables or grains, using a convenient pre-made roux cube. Put milk in a small saucepan. Add roux cubes. Place over medium heat, stirring frequently. 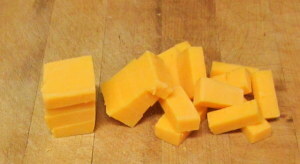 As sauce thickens, add cheese, and stir until smooth. 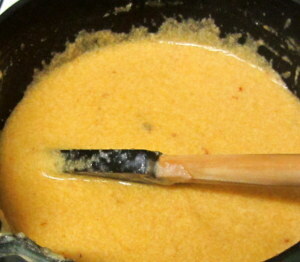 Stir in chipotle puree. That looks so creamy and lovely, I bet it could turn the simplest of meals into something so yummy. Thank you! It really did... And that's the thing about sauces - serve the plainest, most boring things with a sauce and they're not plain any more. Which is the reason I keep harping on the roux cubes... because for the first time a roux thickened sauce is super fast and easy. 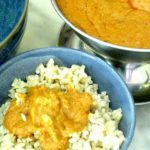 The plain meals that needed something were often on the nights when I was tired or uninspired - with these sauces, I can throw something together to make leftovers interesting.